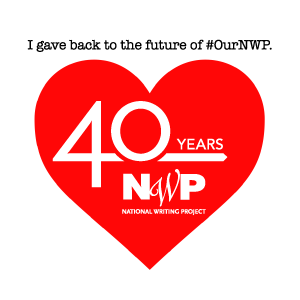 For the last few days I’ve been in Washington DC attending the National Writing Project Annual Meeting, a conference for those connected with writing projects all over the country. In this space we come together to reconnect, learn together, and envision and re-vision possibilities for both our national network and our local sites. And while I was in this rich, intellectually stimulating space, I found myself thinking about angles, the slant that is essential in the work of learning and teaching. The hallmark of writing projects has been their longevity (we’re in our 40th year as an organization), which attests to their ability to adapt to new mandates and contexts in education, their ability to remain responsive to changing needs in the educational community while holding on to their core beliefs, and their ability to innovate as they strive to anticipate upcoming needs and trends and develop more effective and relevant approaches to supporting teachers with the goal of improving the teaching of writing. And even in our own community, what that means and how that looks does not assume that we all agree or even that we all understand our charge in the same ways. And as I consider my own learning experiences, my observations of others, and continue to think about presenting ideas to my own students and to my writing project colleagues I realize that the straight path is not always the best path. I can’t assume what I have come to understand over a number of years will be clear to others as I explain what I now know. 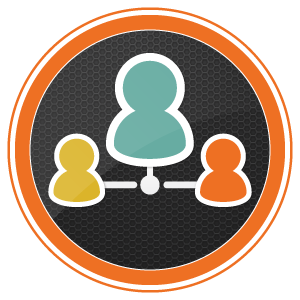 I have to find ways to communicate the truth…but find the slant that gives others access. Sometimes looking straight up or straight ahead actually works to obscure your view and understanding. 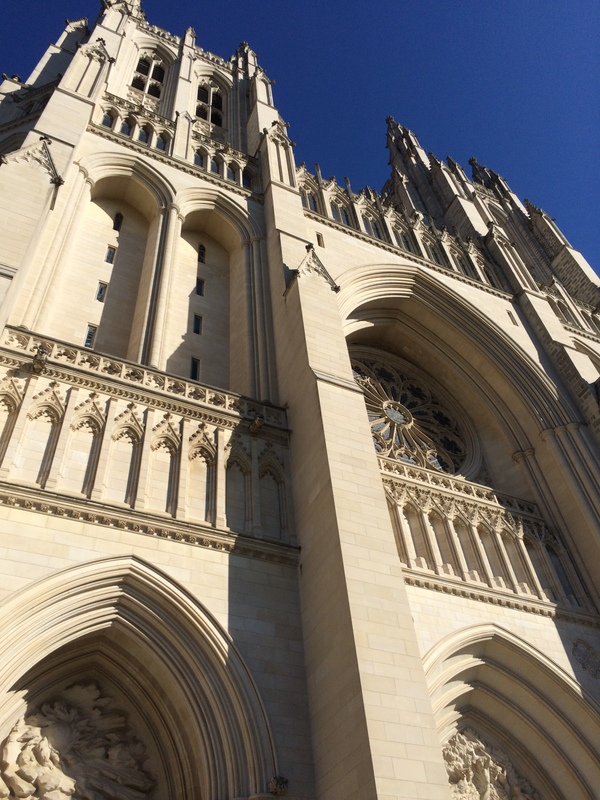 As I spent some time at the National Cathedral yesterday, I started to see the embodiment of some of these slants. 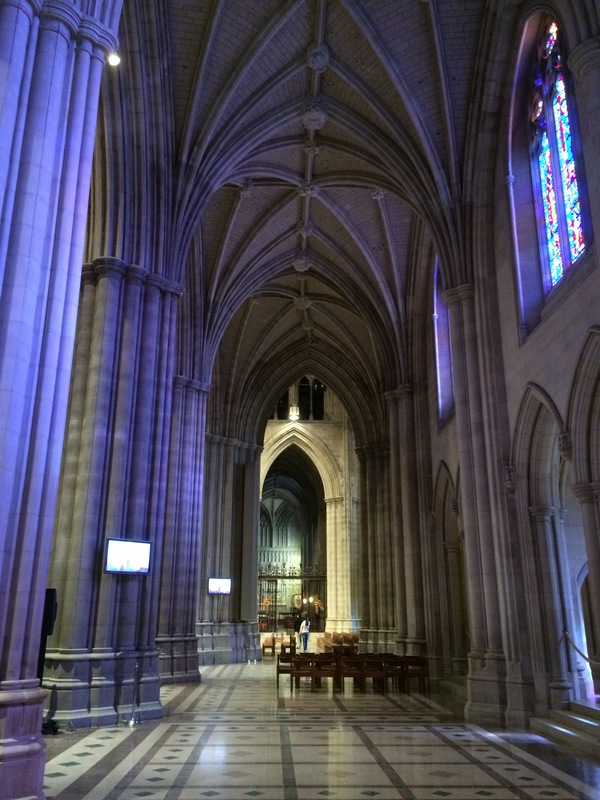 What I noticed as I walked into the nave…the main body of the cathedral…were the incredible angles. Columns reached high, curved, and then met in angular points. 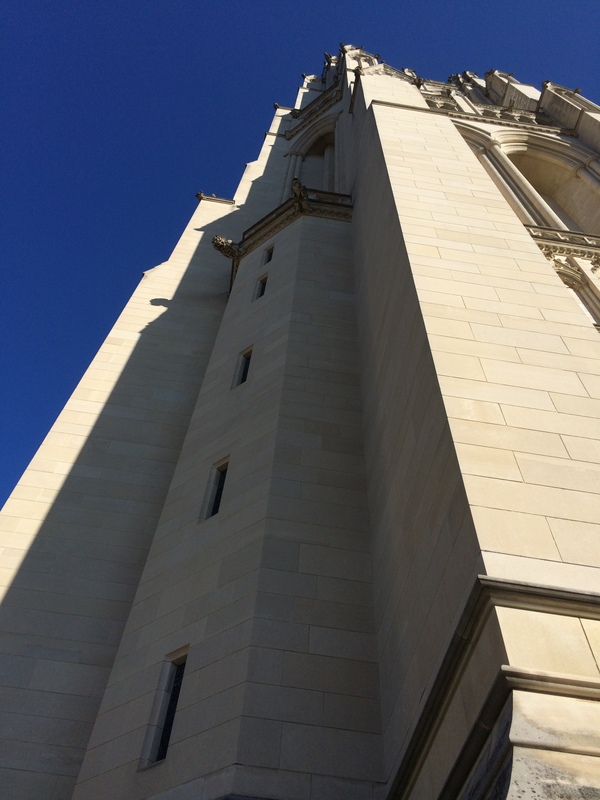 In that expansive and intricate structure, I could feel the careful study of architectural soundness. I felt reassured that this long-standing building would continue to stand, in spite of some damage from a recent earthquake. And so I’m thinking about the underlying structures that inform work some of us as educators do around the concept of connected learning. How do we make the structures and educational soundness visible? What experience will adult and student learners need to feel the expansiveness? 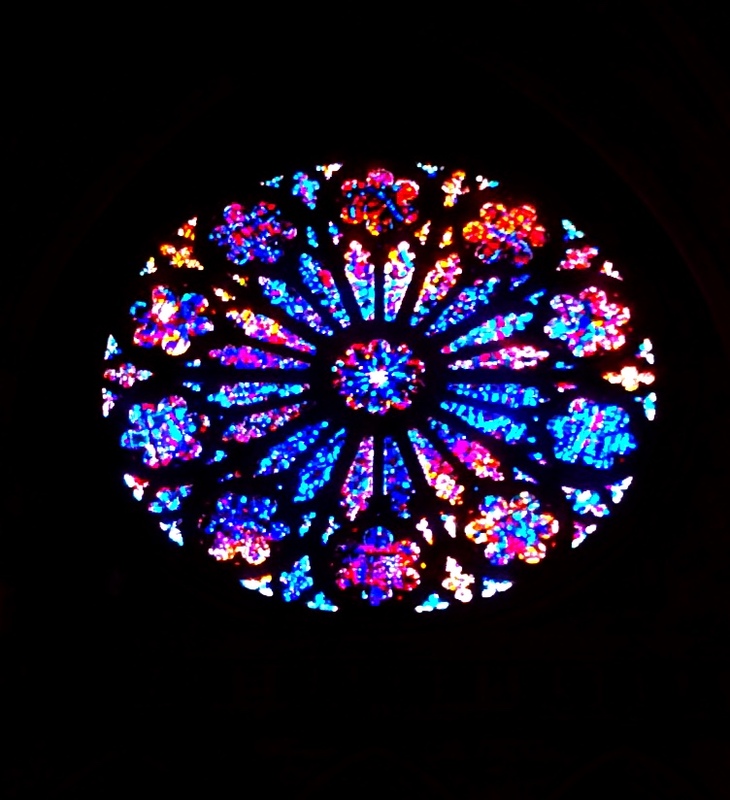 There is a beautiful infographic that I’ve seen shown over and over again and that I have used myself, but like the beautiful stained glass windows in the cathedral, it requires not only a close look but an understanding of the underlying design, accompanied by some personal experiences related to the concepts to truly begin to make sense of it. And like the stained glass window, light shining from outside reveals details and intricacies that are not otherwise noticeable. Rubbing emerging ideas and persistent questions against those of my colleagues works like that shining light, revealing nuances and pushing me to rethink and reconsider my own understanding. 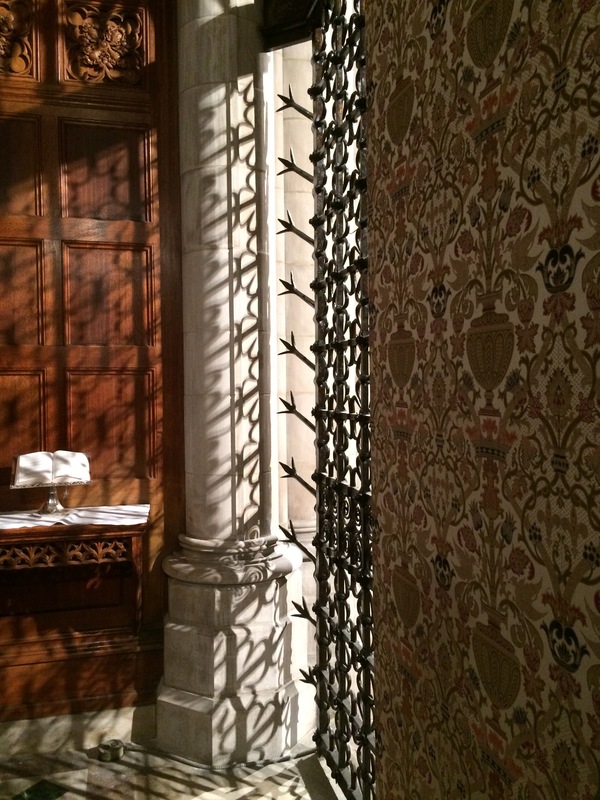 When I can see my thoughts reflected through the ideas of others, they take new shapes and create new possibilities like these intricate shadows the wrought-iron work reflects on the cathedral walls..
And while that sounds pretty easy and productive, it isn’t always that straightforward. There are more slants and angles to consider. Sometimes the learners and teachers must wander down seemingly endless corridors, making false starts and running into dead ends before finding their way in. But repeated opportunities to try and stumble, reflect and reengage eventually reveal a pathway—maybe not THE pathway—to understanding. 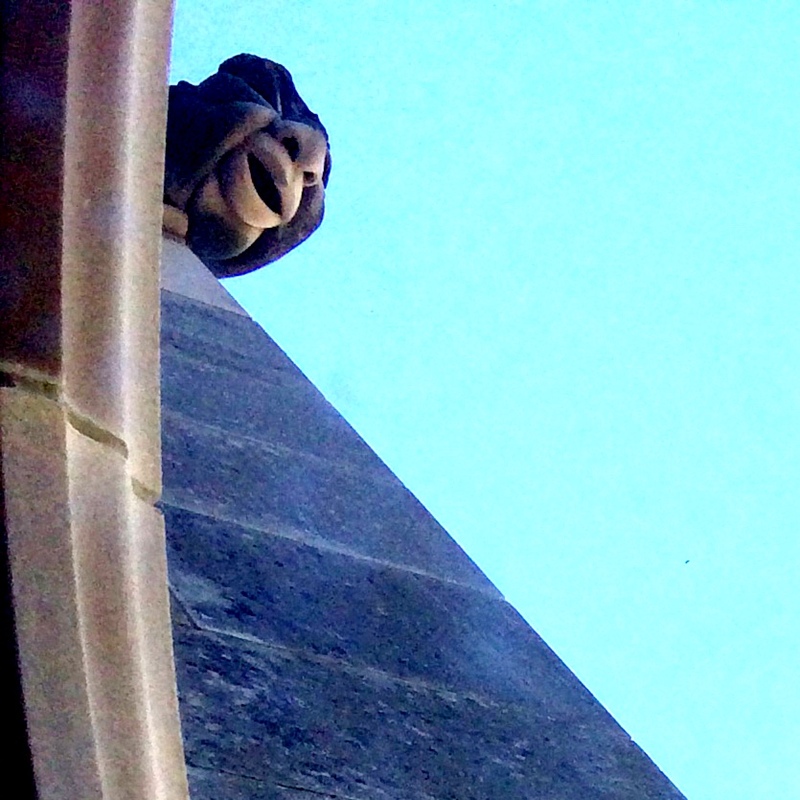 Sometimes you have to crane your neck while your nose is right against the window to catch a glimpse of possibility like I had to as I searched for gargoyles. And sometimes that view might be terrifying, monsters seem to come into view, until you realize you are not alone and there are other meanings to be made of what you are seeing and experiencing. As I have reflected on my experiences this week, I am reminded of the value in taking a step back, considering other perspectives and the role that resistance (my own and that of others) plays in learning. How do I play the doubting and believing game (Elbow) in productive ways that opens doors rather than closes them? And how do I facilitate processes like these for my students and my colleagues? I know it’s about the slant, the angular nature of our personal biases and the complexity of learning itself. And just like the straight path isn’t for everyone, I know that there are many slants to consider as we continue to learn ourselves and to support learners in this fast-changing, information-driven, connected world we live in. My trip to the cathedral not only allowed me to explore this beautiful national treasure and take interesting photos, it also helped me think about learning and angles and envision the role I might play in creating entry points and interactions to extend opportunities to consider alternatives to our current educational system. I’m looking forward to exploring the slants…and I’m appreciating the angular. 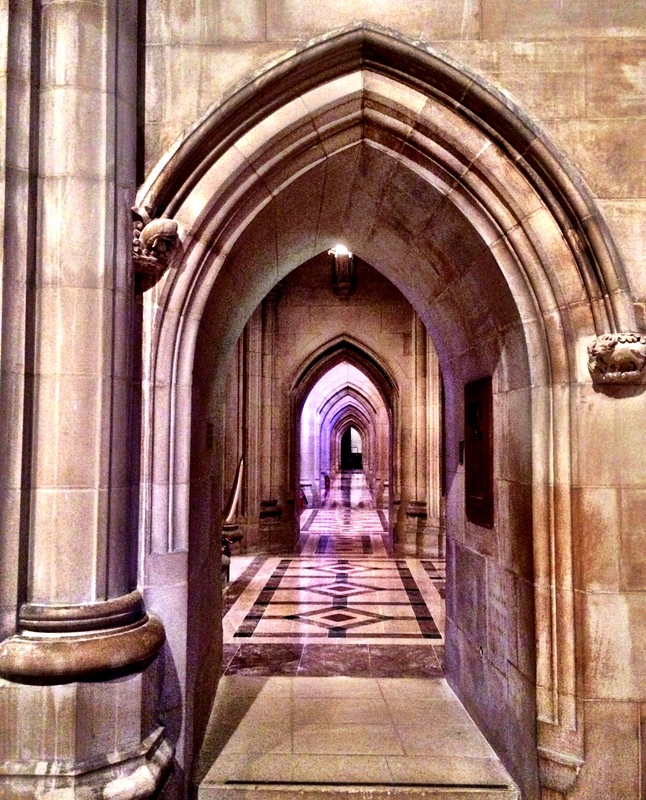 This entry was posted in clmooc, Connected Learning, photography, teaching and tagged angular, connected learning, iphoneography, national cathedral, NWP, photo essay, postaday, reflection, slant, washington DC, writing on November 22, 2014 by kd0602.